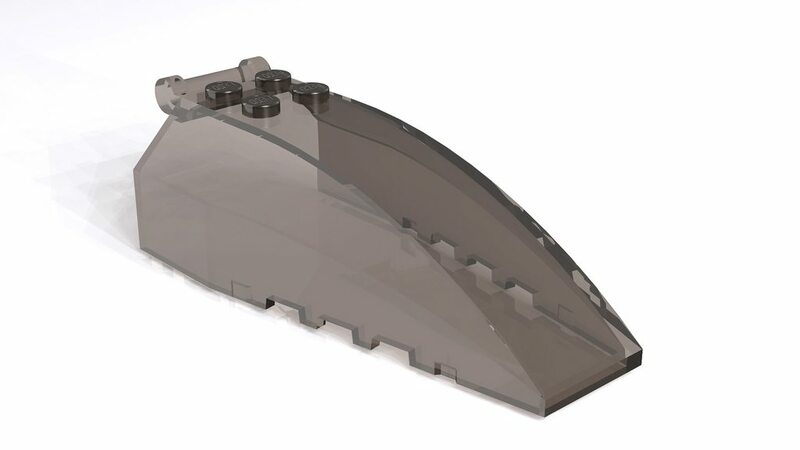 Anyone know why a transparent canopy (I use trans brown in LDD and trans black as it should be in Bricksmith) would render in POVRay near-black, muddy, with a few specks of transparency? It basically looks like a messed up solid black brick. Is there a setting change to make, or am I just fated never to pull off a render on a Mac? Thanks for any advice. What happens when you render the windscreen on it's own? Do you use the LGEO library with its lg_color.inc file for color defintions? Thanks for the reply. The includes are set, including lg_color.inc. I did a quick check rendering just the windscreen on basic (default) lighting settings in POVRay and it turned out fine. I had thought about testing this. What had turned out bad was the 1x1 2/3 slope and trans black tile and plate I had on the micro fighter - those were just murky, inky black. 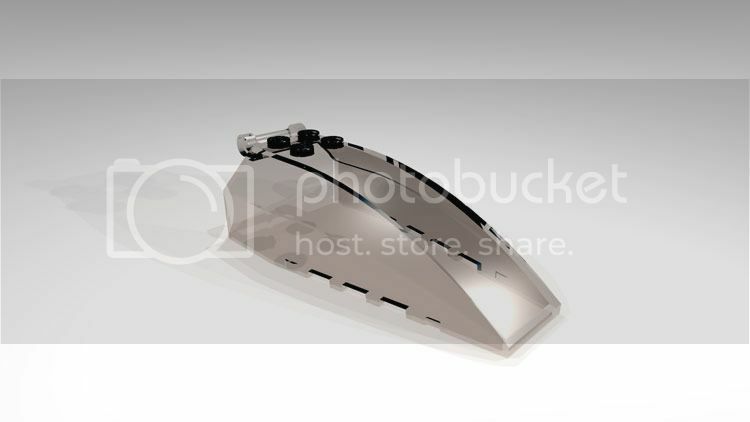 That is still present here on the windscreen, but only on the studs themselves, so the render was basically a success. Maybe there is hope after all. Sometimes I have to rebuild 40-50% of a build exported out of LDD in the Mac LDR app (Bricksmith) which is a real downer, but seems like at least it is working enough to maybe attempt that this week. Thanks! in your POV-Ray file and increase the value to something like 16 to 20, that should tell the renderer to increase the number of calculations for transparent parts and give you a more realistic result (at the cost of longer render times). This is the result I get when I increase the max trace level (MTL). Now, this isn't perfect in the areas where you look sideways into the transparent material, but the studs look a lot better. Thanks for the tip! I didn't know that.